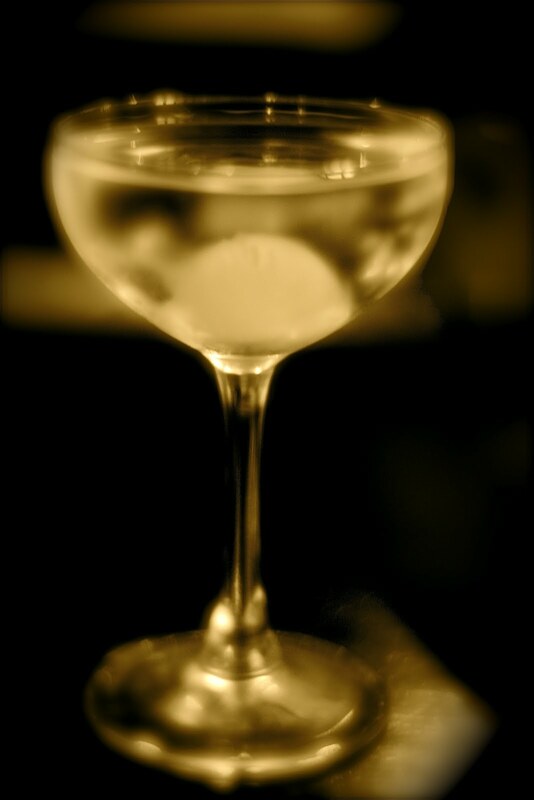 As with so many classic drinks the origin of the Gibson martini is murky and marred with contradictory stories. Some state that Charles Dana Gibson was responsible. After challenging Charley Connolly the bartender at Players Club, New York to improve the recipe of a classic martini, Connolly took a simple and left field approach and substituted the garnish for an onion and named the creation after his patron Charles Dana Gibson. Several suggest the Gibson was created by savvy business men, or diplomats so that they could differentiate their drinks from others at the table or party, but also be in cahoots with the bartender who would in fact be serving them water. One such was a cunning investment banker named Gibson who would take his clients out for a so called 3 martini business lunch. Gibson would have the bartender serve him cold water, while his clients would continue down a less sober path as the meal went on. The garnish was meant to distinguish his drink from his guests. Possibly the most likely version comes from Charles McCabe of the San Francisco Chronicle. He states the cocktails origins lay within San Francisco, and his account is backed up by several other figures. In an interview with Allan P. Gibson, Gibson speaks of when he was a boy and he would hear tales of his great-uncle Walter D.K Gibson, who had created the drink at the Bohemian Club during the 1890's. Further evidence in support of this comes from Ward Thompson, a member of the Bohemian Club, who mentions the drink in 1898 which is the cocktails first recorded mention. 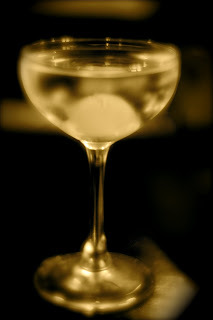 "The story goes that WDK Gibson objected to the way the bartender at the Bohemian made martinis. He preferred them stirred, and made with Plymouth Gin. He also believed that eating onions would prevent colds. Hence the onion. In his version--which I've not seen in later bar books, a twist of orange was held over the glass so that a bit of the oil would fall on the top. The original Gibson--as with all martinis--was also sweeter before the first world war, with about a 1/4 vermouth. WDK died in 1938. I remember that here in San Francisco in my childhood (the '60's) my grandfather and all the old crowd spoke of the Gibson as being created here and by Walter Gibson, who was the brother-in-law of the "Sugar King" JD Spreckels. The first reference I have seen to it in a bar book was in one printed about 1911." "...Unfortunately, I didn't know WDK Gibson myself but all those who did, my grandfather and my father and uncle remembered him well and the fact that he invented the Gibson. He used to drink them until he died in 38; and during prohibition his wife whose sister was Lillie Spreckels, insisted that the gin be prepared specially at home lest an inferior quality slip in. Alas I have no idea what her recipe was." While every drinker will be familiar with a Martini, the Gibson has always held a slightly underrated and unsung position amongst the variations of the classic drink. Cocktails, like anything, are as much a slave to social fashions and trends as clothes and tastes. 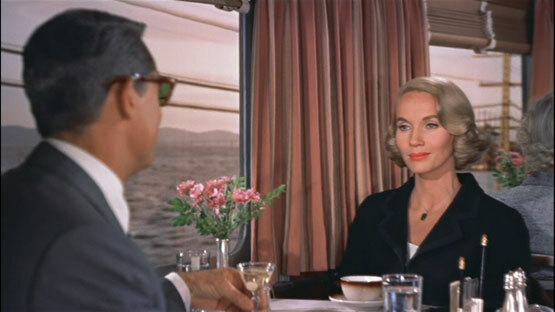 Perhaps the meteoric rise in classic Martini's and their standing in film and media left the Gibson in the shadows slightly. Forgotten behind the trends for olives and lemon zests. The Gibson does, however, enjoy some notable endorsements of it's own. 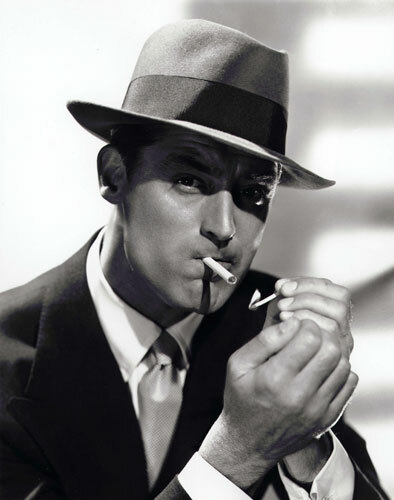 Cary Grant is famously known for his love of Gibson Martini's. In his film North by Northwest, directed by Hitchcock, we see him ordering one during a conversation with Eva Marie. 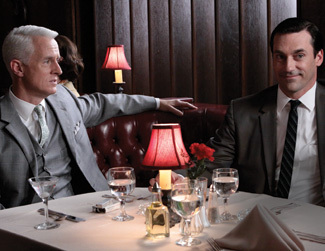 More recently, in the classically styled tv show Mad Men, Roger Sterling is know to order Gibson's.